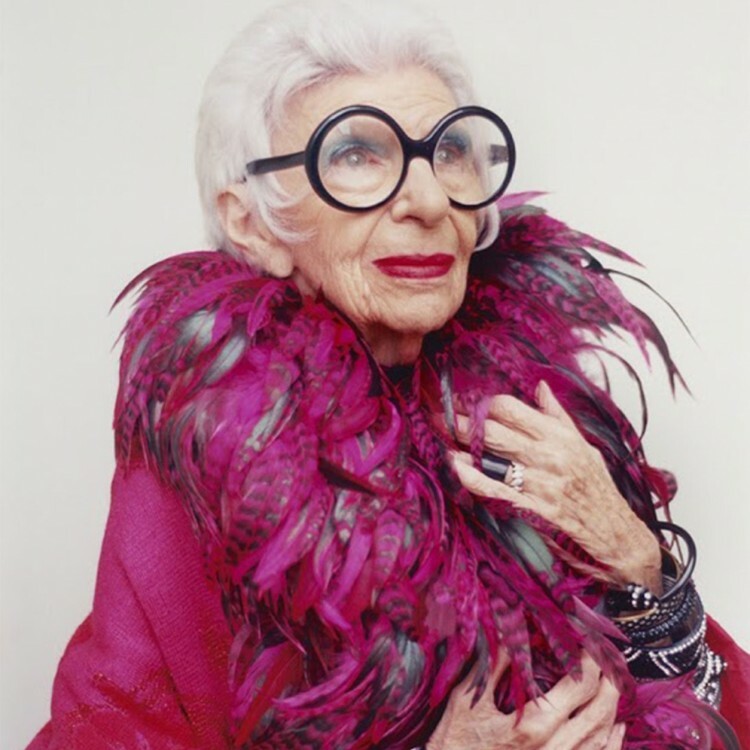 “More is more and less is a bore”, said the 94 year old fashion icon Iris Apfel. 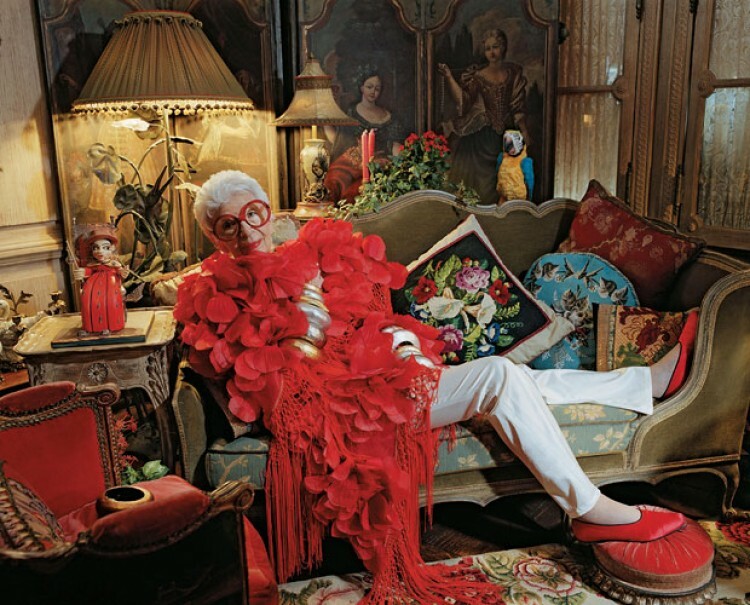 It perfectly captures her abundantly colorful and eclectic style: blue ostrich feathers, orange faux fur coats, gigantic owlishly glasses, nothing is too crazy for Apfel. 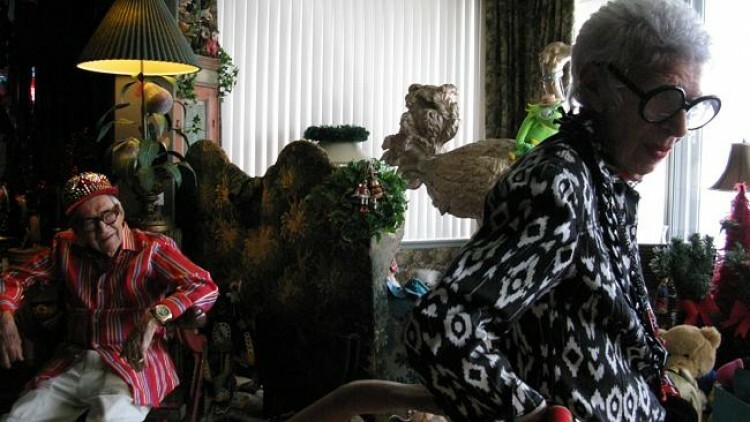 So it’s no wonder that this rare bird of paradise is the star of a documentary directed by Albert Maysles. 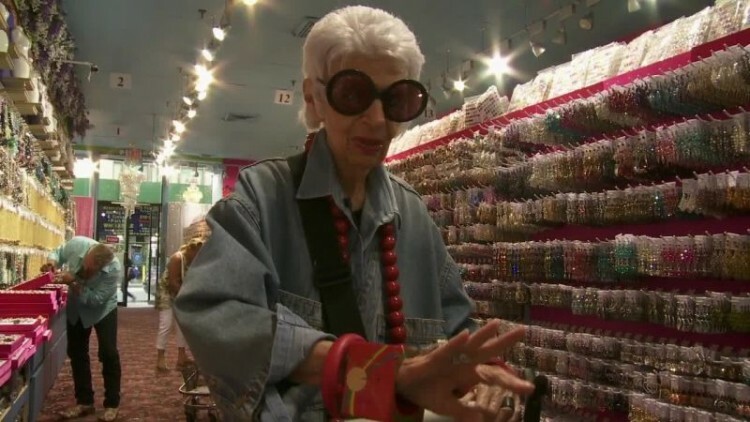 The film follows Apfel’s exciting everyday life as she travels for fashion shoots, giving interviews and style lectures. 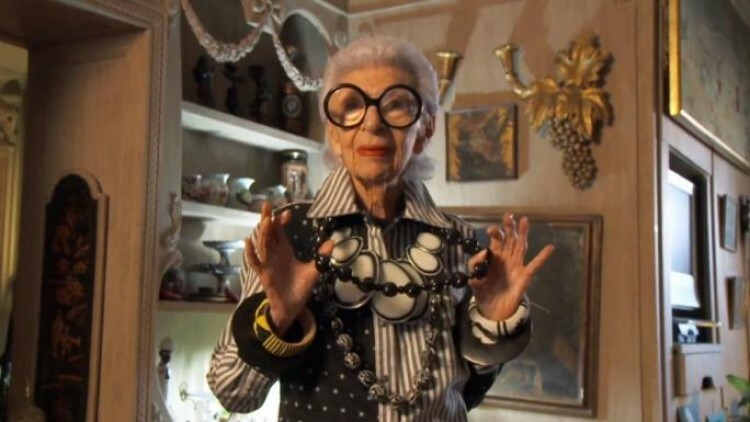 You also get glimpses of her home, which is just as whimsical as her wardrobe, and her adorable interactions with her 100-year old husband.